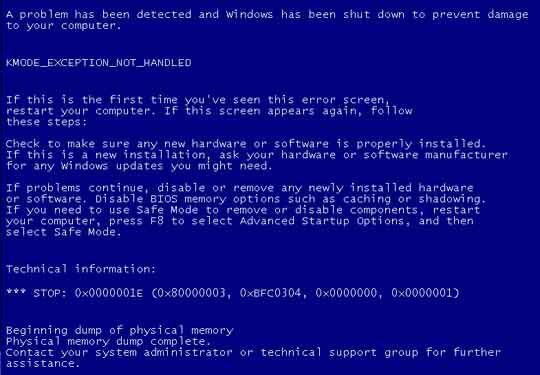 Sometime while working on a Windows 7 Computer you can have the above Blue screen error message (also called Blue Screen of Death (BSOD)) before you finish reading the message the Computer will automatically re-starts, this problem can be continue and you can't use your computer peaceful. Step 1: Click on the Start button and then go to Control Panel. Step 2: Click on the System and Security link. Step 3: Click on the System link. Step 4: on your left side you can see Advanced system settings, click the Advanced system settings link. 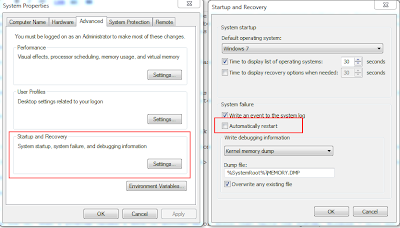 Step 5: Locate the Startup and Recovery section near the bottom of the window and click on the Settings button. 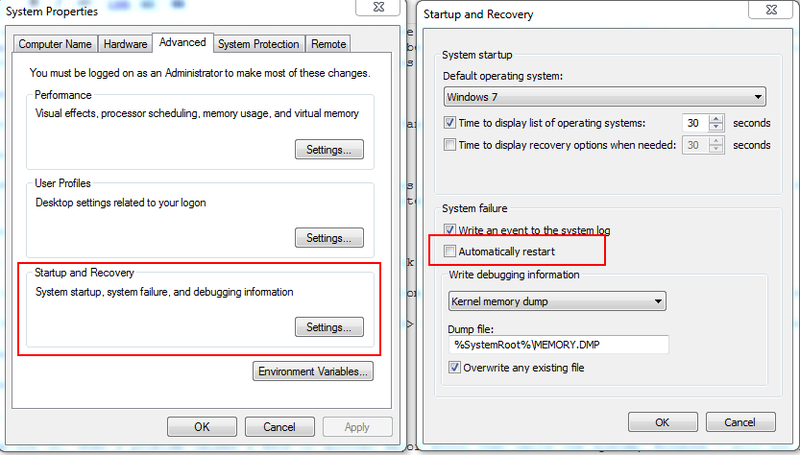 Step 6: In the Startup and Recovery window, locate and uncheck the check box next to Automatically restart. 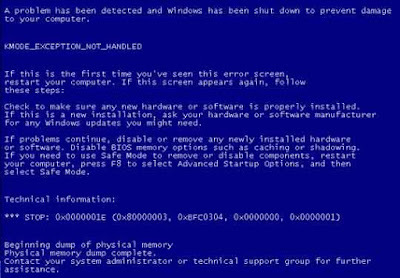 Step 7: Click OK in the Startup and Recovery window. Step 8: Click OK in the System Properties window. Step 9: You can now close the System window.